The industrial dispute at Chemist Warehouse’s distribution centres in Victoria and Queensland has entered its third week. National Union of Workers (NUW) members are taking protected industrial action under the Fair Work Act in support of their claims for a new enterprise agreement. A major focus of the NUW’s campaign is the high level of casual and labour hire staff engaged in the distribution centres. The union says that these temporary forms of engagement account for around 75-80% of the Chemist Warehouse workforce in its warehouses, typically earning around 25% less than industry pay rates for this kind of work. I discussed the differential treatment, lack of job security and problems for labour hire workers arising from being ‘on call’ in a recent post. The company has also faced allegations of bullying and harassment of its warehouse workers. Several years ago it was the subject of a Fair Work Ombudsman investigation into mandatory unpaid training affecting retail store staff. Chemist Warehouse’s heavy utilisation of the labour hire business model has parallels with the almost 100% reliance upon labour hire by Amazon. A recent ABC investigation into working conditions at Amazon’s South Dandenong ‘fulfilment centre’ was quickly followed by an announcement that the company would create 500 new permanent positions. Back to Chemist Warehouse: picket lines are in place at the distribution centres, and there have been reports of violence and threats directed at striking workers. The company has denied these allegations. Photos abound on social media of empty shelves in Chemist Warehouse stores (the industrial action is directed only at retail products, not medicines). On 25 March the Fair Work Commission (FWC) granted the NUW’s application for a good faith bargaining order, to prevent Chemist Warehouse putting its latest offer to a ballot of employees for at least another three weeks. Previous case law has established that an employer can only submit an agreement to a vote, against the will of employee bargaining representatives who wish to continue negotiating, where an impasse has been reached in bargaining (see e.g. CFMEU v Tahmoor Coal Pty Ltd (2010) 195 IR 58; and more recently, CFMEU v WorkPac Pty Ltd  FWC 1995). 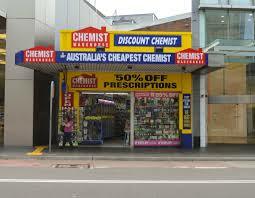 It seems the FWC does not think that point has yet been reached in the Chemist Warehouse bargaining dispute. In legal terms, there is nothing especially significant about this dispute. However, this close to the May 2019 federal election, it is potentially of considerable political importance – providing yet another example to feed into the union movement’s campaign to #changetherules which allow labour hire to be utilised in this way.